Benefits & Compensation Archives - strategic HR inc.
One of our favorite commercials is one where a prima donna football player named Leon is interviewed in a locker room after a bad game. He blames his teammates for not recovering any of his four fumbles. The reporter mutters “there is no ‘I’ in ‘team’ ” and Leon quickly responds that there “ain’t no ‘WE’ either”. While not our most common approach, we sometimes use this theme – or the analogous “but there is a ‘ME’ in ‘team’ ” – when helping clients understand and define accountability and contribution in their pay-for-performance systems and incentive plans. In an organizational setting, this simply means that, even on a team, everyone has a job to do. It’s the team leaders or manager’s job to help team members understand how their individual performance fits into the team achieving desired outcomes so that each member can stay focused on his or her job and not try to perform the jobs of others like a nose tackle who wants to play free safety. Certainly this is not an easy job and the organization’s people management system can provide a valuable supporting tool or simply get in the way. Thank you to RSC Advisory Group, LLC for sharing their expertise on performance management. RSC Advisory Group, LLC is a management advisory and consulting firm specializing in pay and performance with clients in a multitude of market sectors and geographic areas. strategic HR inc. is proud to partner with them to provide our clients with performance management and compensation solutions. If you have any questions about this article or for RSC Advisory Group, LLC, you can view their website at rscadvisorygroup.com or contact Dan Ripberger at dan.ripberger@rscadvisorygroup.com. August 1, 2018 /in Benefits & Compensation /by strategic HR inc.
Are you able to ask candidates for their salary history in your state or city? If so, it may not be for long. If you are hiring employees in California, Connecticut (effective Jan 1, 2019), Delaware, Hawaii (effective Jan 1, 2019), Massachusetts, New Jersey, New York, Oregon, and Vermont, you cannot ask the candidate’s previous salary history during the recruitment process. All of these states and additional municipalities are just the beginning. We will continue to see many more jump on board in the months and years to come. The unfortunate part is the pay gap follows women even into retirement. If a woman is paid less than her male counterpart during her working years, this means when she retires, she’ll receive less income from Social Security, pensions and other sources than do the retired men according to an article by Fischer & Hayes. The gender pay gap is real. As a society, we’ve been working on this issue since 1896 – yes, I just said 1896. In 1963, the Federal Pay Equity Act went into effect. But still, the problem is the gap isn’t closing very quickly at all for this being an issue for over 100 years. Some of the reasons causing this gap including the types of majors in college and jobs we’ve pushed women to take over the years. Plus, there is still a bias whether or overt or unconscious about women in the workplace. In a recent Harvard Global Online Research study, including over 200,000 participants, it showed that 76% of people (BOTH men AND women) are gender biased and tend to think of men as better suited for careers and women as better suited as homemakers. This bias spills over into the workplace every day. According to the Women in the Workplace Study by Leanin.org and McKinsey & Co., for every 100 women promoted to a manager level position, 130 men were promoted. Even at the C-level, women only account for 18% of the C-level employees. This same study found that women asked for feedback as often as men but were less likely to receive it. Plus, women do not have the same level of access to senior leaders. You’ve probably seen it or maybe even done it yourself but when a woman tries to negotiate they are considered bossy or aggressive. Recently, I was approached by a woman to coach her through asking her employer for a salary increase because she knew she was paid substantially less than her peers, who happened to be male. We walked through the facts including her credentials and performance reviews. When she approached her manager with the information asking for the one time increase, she was denied and told salaries are based on the income you were receiving when you were hired. And, inquires like this could result in her termination. Yes, she is now actively looking for a new position with a company that respects the skills and performance she brings to the table. If we can find a way to even the playing field and eliminate the gender pay gap, our businesses will become more collaborative, inclusive and competitive. As businesses, we need to evaluate our compensation philosophies as well as take a deep look at our internal employees to ensure we haven’t fallen into the pay inequity. We also need to look at our employment practices to minimize the impact of any hidden or overt biases that would be holding women back and/or paying them less for their skills than deserved. Look for ways in your organization to help grow and develop your women into leadership roles such as through mentoring programs and even training your employees to understand how biases can affect employees and the company’s success. As individuals, especially in HR and management roles, we can make a difference too. We need to be reflective to realize any of our own conscious or unconscious biases that may be impacting decisions we are making with regard to hiring, promotion and compensation. And, we may have to step outside our comfort zone to speak up when we see inequality taking place. We hear it constantly. We are presented with statistics that show how Americans are working longer hours than ever before. The 40-hour work week has turned into the 45-hour work week or the 50-hour work week and in some cases, even more. A recent poll conducted by NPR, the Robert Wood Johnson Foundation and the Harvard T.H. Chan School of Public Health shows that less than half of all employees (polled) used all or most of their paid vacation days within the past year. There is no specific time that “work” ends and “life” begins. With employees making themselves accessible by email, text, or phone 24/7, it’s extremely easy to lose sight of that balance. Each person has his or her own idea of work/life balance. Recently, the term “work/life integration” has become increasingly widespread; especially with employees in the Millennial generation. This concept of “integration” rather than “balance” is essentially the same idea, but with a few variations. “Balance” suggests that these two worlds, work and life, must compete with one another, while “integration” suggests that they can work harmoniously with one another. I think most people can agree with that wholeheartedly. Nobody expects you to be perfect, except maybe you. The sooner you let go of the idea of “perfection”, the sooner you will realize that perfection is only a flawed picture in your head of what you think everyone expects you to be. Focus on your own ideas of personal growth. Personal time is extremely important for a healthy balance. Aim to set time aside each day by doing something for you, whether it’s for 10 minutes or for an hour. “You time” can be anything YOU want to do! Pick something that truly calms your mind. It could be anything from exercising to sitting down and watching your favorite TV show. After all, this is YOUR time! Prioritization and knowing where and when to focus your attention is a skill worth mastering. Always have a plan before jumping in. It may even help to do this the night before, if possible. Know what needs to be accomplished and aim to stick to that plan, while also allowing room for interruptions throughout the day. Don’t overwhelm yourself. If you are continuously not accomplishing what you need to, then it may be time to re-evaluate your workload. Learn to evaluate processes already in place. Don’t look for places to cut corners. Instead, look for steps in the process that may not be necessary to complete the same high quality work. It’s easy to get into the daily habit of following processes, when there may in fact be an easier way. Everyone deserves a healthy work/life balance. It might require you to make some changes in your life. Don’t be afraid to take that next step towards happiness. Avery Helwig, aPHR is a Talent Acquisitions Consultant at strategic HR inc. (www.strategicHRinc.com). If you have any questions or would like to share your comments, contact Avery@strategicHRinc.com. Should Employers Offer Telemedicine to Their Employees to Stay Competitive? My broker just introduced the idea of telemedicine to me for my employees. Are many employers really starting to offer this benefit? In the 2016 Medical Plan Trends and Observations report released by DirectPath and CEB, telemedicine was just one benefit that was reported on. That report indicates that almost two-thirds of the reporting organizations are offering or plan to offer some type of telemedicine program by the year 2018. There are many different plan options out there so make sure you do your research and clearly understand how you are going to be billed for offering the service. Telemedicine is answering the need of many patients today offering 24/7 access and many times without an appointment. It is becoming more widely accepted and it is a huge driver to help with cost control in high deductible health plans. It’s tough having to navigate the ever-changing FLSA laws and other federally mandated rules and regulations. Strategic HR, inc. can help. Ask us for assistance with any of your benefits and compensation needs. Please visit our Benefits & Compensation page for more information on any of these services. Can you imagine the stress of leaving work for an appointment and finding your car in the parking lot with a flat tire? Wouldn’t it be nice to have someone else deal with getting it repaired? That’s exactly what happened to a nurse at SkyRidge Medical Center in Lone Tree, Colorado whose on-site concierge came to the rescue and got the car tire fixed while she returned to work that afternoon. Each generation has its own characteristics. For example, in general the youngest generation prefers a fast-paced, multi-tasking lifestyle while the Silents are accustomed to a slightly more leisurely pace. As another example, Baby Boomers and Silents typically prefer face-to-face communication whereas the younger generations thrive on instant messaging and texting. Dealing with these multiple generational differences adds an extra measure of stress, for both employees working with their colleagues and supervisors. Compounding the variety of ages in our work force is the fact that the older two generations are poised to retire in the next five years. As these older employees leave, the overall size of the work force will shrink since the younger generations replacing them are substantially smaller in number. Ajilon Finance reports that in 2006, two workers left the work force for each one entering it. As the trend continues into the foreseeable future, vacancies and company changes to deal with the work shortages may put more stress on those still working. The competitiveness of our business climate today, fueled by global competition, Wall Street pressures and a host of other factors, drives many firms to layoff portions of their work force. While employees who keep their jobs are grateful, they face a daunting task of balancing new job responsibilities with current duties. All of these factors take their toll on the remaining workers who are continually pressed for more productivity – to do more with less – and to work longer hours to make up for their departed colleagues. The resultant stress, then, is common to all employees, regardless of generation. So while there are many differences between the generations, all workers today are time-starved and stressed out. There is plenty of evidence of this stress in our lives. The American Psychological Association reports that more than half of all working adults and 47 percent of all Americans say they are concerned about the amount of stress in their lives. Additionally, according to a recent Harris Interactive Study, one in three U.S. employees feel overworked as a chronic condition. The Anxiety Disorders Association of America reports that three in 10 Americans say they have experienced persistent stress or panic attacks. At the same time, as a society we’re coming to understand the negative effects that this pressure has on our health, ranging from high blood pressure to more severe complications such as heart attack or stroke. The opportunity to ‘get away from it all’ and reduce this time burden can have an important role in keeping stress at bay. One innovative method of addressing the last bullet above, achieving a better balance between our work and our personal lives, is to offer concierge services to employees. Hotels have been utilizing this concept successfully with their guests for many years and it is now being leveraged into the corporate and health care setting. Other types of services are also offered by concierges such as errand running, transactional services (obtaining tickets), home-based help (waiting for a repair or service person), child/elder care research, corporate support (administering recognition programs), convenience services (gift wrapping), guest relations, travel planning, and event planning. This last service is a good example of a popular and highly valued offering. Concierges have taken treats to school for holiday parties, and planned birthday parties for busy parents. One concierge organized a graduation party; offloading the details, even down to balloon delivery, from the parents. In short, this service is a huge time saver for the employee. Services are not limited to the above examples. One employee had the concierge write a treasure hunt poem to lure her husband home early. Another request was to fill a hot tub with 1600 gallons of water before a tailgate party. One concierge located five, full- dress Scottish kilts for a wedding. As long as it is legal and moral, concierges are happy to help out with any request. 93% Strongly Agree/Agree that the concierge service helps reduce their stress level and 0% disagree. 92% Strongly Agree/Agree that the concierge service helps them balance work and personal responsibilities and 0% disagree. These same survey results tell us that employees save an average of two hours for each concierge request. More than half of those surveyed say they put that time back into work. HealthONE of Denver, Colorado, reported an overall decrease in their turnover ranging from 11 to 26 percent across several facilities. The concierge service was definitely a factor in these improvements says HealthONE. Bronson Healthcare Group, a Malcolm Baldrige award winner based in Michigan , also documented an overall turnover drop from almost 21 percent to just over 9 percent. Other organizations are posting similar results. Real dollars associated with reduced turnover can be significant as well. In Bronson’s case, they report that their recruiting costs fell by at least a quarter of a million dollars ($250,000) annually. If you have questions or comments on this article, you can contact Tillie Hidalgo Lima, Best Upon Request Corporate, Inc. President/CEO, at thl@bestuponrequest.com Also, feel free to visit her website at http://www.bestuponrequest.com for more resources and information. A compensation philosophy relates to an organization’s commitment to how it values employees. A consistent and intentional pay philosophy gives both the organization and its employees a frame of reference when discussing salary in a negotiation. The goal of a compensation philosophy is to attract, retain and foster an environment that motivates employees. For organizations in the private sector, this typically requires a competitive pay philosophy. In the public and nonprofit sectors the focus is on benefits and the employees’ sense of value in the contributions their work provides to society. Organizations attract, develop and retain quality employees through a total compensation approach. To accomplish this, astute compensation strategists use a mixture of the three main ingredients of a compensation system: base pay (salary); incentive pay such as cash or stocks; and benefits (rewards such as life and health insurance). A sound approach is a blend of all three. An organization’s pay philosophy might be to offer salaries that are competitive in the industry, or it may decide to offer pay to attract junior level employees rather than senior level. In order to retain loyal and proficient seasoned workers, perhaps tailored benefits such as long-term disability will be offered. The challenge is to create a compensation system that includes all three components without exhausting the company’s resources. Many organizations have a compensation philosophy that includes paying a competitive base salary that’s comparable to what employees could get somewhere else doing similar work. Additionally, if employees have equity in the company, that’s a powerful incentive to do well and encourage co-workers to excel. Another excellent incentive is the use of a signing bonus and later on, a retention bonus. The key, according to my research over the last 20 years, is to reward high-performers well to demonstrate their value in meeting strategic business imperatives. Another consideration is whether your company wants to lead or lag the market with salaries and salary adjustments. Even though many companies review salaries only once a year, the marketplace is continuously moving. A company’s compensation, then, is likely to be at market value just once a year. As a consequence, companies must decide what time of year to offer raises and whether to lead the market at the beginning of the year and lag behind at the end of the year, or to lag behind at the beginning of the year and lead at the end. Yet another consideration is whether to pay for employee proficiency or longevity, or a combination of both. The formula for employee proficiency involves calculating a comparatio — the employee’s salary compared to market. For example, if an employee earns 45,000 and the median in the marketplace for that job is $50,000, the employee has a comparatio of 90%. If this employee has worked at this comparatio for long, the company is at risk of losing him or her, especially if the employee is highly proficient. The advantage of paying for proficiency is that the market value of jobs is tied to skills. Employers can assess how their employees stack up on any number of measures related to these skills. The Society for Human Resource Management (SHRM), at www.shrm.org, has numerous articles on developing a matrix of measures related to skills and compensation. Under protective labor laws, a compensation program must be consistently carried out across all employees and cannot discriminate based on illegal factors such as race, gender, or disability. Companies have the absolute right, however, to differentiate based on factors such as level of position and skill sets required to perform a job. If your company hasn’t been intentional about a compensation philosophy in the past, I encourage you to think about it now. Underpaying or overpaying employees can cost the company in the long run, either in turnover or unnecessarily high salaries. For more information on this topic, contact Dr. Linda Gravett at lsg@justthebasics.com orLinda@gravett.com. Sgt Joe Friday (Jack Webb in real life) became iconic for his comment “Just the facts, Ma’am” as he was trying to find the truth. In trying to understand retirement plan fees and the regulations for business owners, the same holds true; so here are some facts. Frontline aired “The Retirement Gamble” on April 23, 2013, which studied the impact of excessive fees on retirement plan accumulation. The documentary asserted losses of up to 64% of future value due to excess fees. An EBSA (Employee Benefits Security Administration – responsible for ensuring the integrity of private employee benefit plans in the US) video on their website asserts a 1% overcharge in fees can reduce future values by up to 28%. Other studies also illustrate the heavy toll taken by high fees on participant account balances. So what is being done to remedy this accumulation sickness, and how effective is the cure? Effective July 1, 2012, ERISA requires 401(k) plan sponsors to increase transparency and improve education to participants relative to fees and investment performance. To assist plan sponsors to meet their obligation, service providers must fully disclose all services provided and fees charged to plan sponsors. In turn, plan sponsors must add performance data to better educate participants. The assumption is that the combination of lower fees due to competition and improved education will result in better participant decisions, and lead to improved accumulation. That is the cure, but it does not appear to be working, for two main reasons..
First, many of the disclosures provided by service providers are complex and hard to navigate. Balking at the time needed to distill the information regarding their plan from these disclosures, many plan sponsors do not take the time, nor have the expertise, to adequately review the disclosure. Second, many business owners/plan sponsors misunderstand their role as it relates to fees and performance. In plans where participants direct investments, someone is liable for choosing the investments, monitoring fees and their impact on investment performance, and replacing those investments as needed. Many plan sponsors incorrectly believe this liability belongs to those offering the investments. In fact it is not their duty, and often there may be a conflict of interest as they are product manufacturer. This can mean that participants continue to be faced with high fee and/or low performance investment choices due to hidden fees, mediocre investment products or a combination of both. However, ERISA is very clear on theses topics. On item one, the plan sponsor must do the analysis, fully understand the data, and thereafter make decisions regarding the plan, fees and service providers in fulfillment of the plan sponsor’s fiduciary responsibilities under ERISA. On item two, without a contract from a bank, insurance company or registered investment advisory firm, in writing, to accept this liability under ERISA Section 3(38), the business owner/plan sponsor has this personal fiduciary liability. A word to the wise at this juncture. Estimates are that an EBSA inquiry (cannot be paid by the plan) can cost upwards to $100,000 if no legal action is taken. Defense costs (again cannot be paid by the plan) of over $300,000 are not uncommon if EBSA pursues legal recourse personally against the plan sponsor. Now that the rules are laid out, along with the potential costs of ignoring them, plan sponsors should consider learning exactly where they stand in relation to these rules, and if uncomfortable with that position, how to mitigate the risk. To assist in the review and analysis of service provider disclosure, plan sponsors can seek out third-party firms that can analyze the fees, performance and services offered by their current service provider(s). Some firms charge fees for this service, but others offer at no cost due to their role in the financial services industry. This information is critical, and it is not a case where you get what you paid for, so shop around. Finally, it should go without saying; an ounce of prevention is worth more than a pound of cure. In this case, action now is much preferred to action later, especially if in response to a DOL audit. And as Sgt Friday might also say, “Those are the facts”. David Chrestensen joined First Financial Wealth Management, a division of First Financial Bank, in 2011 and currently serves as a Vice President of New Business Development. He serves clients within the Greater Cincinnati region. Mr. Chrestensen has more than 25 years of experience in the financial services industry and currently focuses on providing clients wealth management solutions including financial planning, trust services, investment management and retirement planning. As a former business owner, Chrestensen also understands the importance of helping clients select the right retirement plans to help their company and employees achieve greater success. Chrestensen, a resident of West Chester, holds the certificate of Chartered Financial Consultant (ChFC®) and is the founder and former president and CEO of Sol Ventus Partners, LLC. He is also a member of the Society of Financial Services Professionals, Green Energy Ohio and the West Chester Chamber Alliance. First Financial Wealth Management, a division of First Financial Bank, N.A., provides investment advisory and wealth management services, as well as services as a qualified Discretionary Trustee under ERISA Section 3(38). As such, and because it does not offer any proprietary investment products, First Financial Wealth Management is qualified to provide the services remarked above to interested business owners. If you have questions or wish to share your comments, please feel free to contact strategic HR inc.(www.strategicHRinc.com) at Info@strategicHRinc.com. Ohio Healthy Families Act – Is It “Healthy” for Your Organization? In November 2008, Ohio voters will most likely have the opportunity to determine whether employers with 25 or more employees will be required to provide their full time employees with seven paid sick days per year. Similar to the smoking ban and minimum wage which Ohio voters passed in November 2006, this proposed Act may become law as a result of a ballot initiative. If passed, Ohio would be the first state to pass such a law but may not be the last as there appears to be a growing trend for consideration of such types of legislation. Ohio Healthy Families Act (HFA) applies to all employers with 25 or more employees. HFA Provides 7 paid sick days for full time employees (defined as those working 30+ hours) and pro-rated amounts for part-time employees to care for themselves and their families’ health needs. The paid days begin to accrue immediately upon hire; accrued time can be used after 90 days. Time can be used for almost any “undocumented” medical reason for the employee or for the employee to care for a child, parent (including inlaws), or spouse which is the result of a physical or mental illness, injury, or medical condition or to obtain a medical diagnosis or preventative medical care. Employers cannot require a medical certification unless the time off exceeds more than 3 consecutive work days and the employee has 30 days to provide certification. Employers cannot count paid sick leave as an occurrence under a no-fault attendance policy. Although it is pretty clear that employers will be required to provide seven days of paid sick days, most of language in the Act is poorly drafted. There are a lot of ambiguities and as Greg Rogers, Partner with Taft Stettinius and Hollister LLP, Cincinnati, stated “…(most) of which will only be clarified through the litigation process, if it is deemed constitutional.” Constitutionality of such an Act will no doubt be in question in Rogers’ opinion, as requiring employers to pay someone to do nothing will most likely be challenged in the courts. Is such an Act, if enacted, potentially unhealthy for employers? It’s possible! This piece of legislation would require employers to comply with this law without reducing or eliminating leave the organization already has in place. Although this is unclear, it appears that even PTO banks may not be “safe” although they appear to be the best bet for employers. A recent survey conducted by SHRM indicated that 55% of HR Professionals responded that their organizations offered sick leave as part of a paid time off plan, only 37% offered a separate sick leave plan. Does this mean that 55% of us will need to add separate sick time to our PTO banks? It is still unclear. Much discussion has surrounded the example of an employer who provides ten days of paid time off (which employees may use at their discretion for sick, vacation, or personal time) and whether or not that would qualify as the seven paid sick days. Some attorneys feel that may in fact not be enough. Employers may need to modify the policy so that seven of the ten are specifically for sick days and the remaining three would be for the employee’s choice…it is unclear. What does appear to be clear is that this proposal may potentially take a big chunk out of businesses’ budgets. A small employer of 25 with an average wage of $10.00/hour who only offers vacation time today would have to incur an additional $3000 in gross wages per year just to comply with the act. This does not include the additional cost for taxes, workers’ compensation, overtime, productivity, etc. that can cause that number to rise significantly, not to mention the amount of time in administration and tracking of the benefit. These potentially significant costs to businesses will no doubt cause Ohio employers to be less competitive in a time when we are trying to promote business in the state. So how do we prepare? There has been some consideration by companies on how to financially prepare for what they feel will be the inevitable passing of this legislation. Many organizations have already begun making changes to their current policies in anticipation of the Act. Thoughts include eliminating attendance bonus programs, making adjustments to other benefit plans and even making adjustments to compensation increases for 2009. Obviously, employers are going to have to revise many of their existing policies governing attendance, including discipline (no-fault attendance policies) as well as paid time off policies. The best advice? Get prepared! A recent study by Policy Matters Ohio, a Cleveland-based liberal think tank found that 2.2 million Ohioans would see their benefits expanded if the measure passes. That’s 2.2 million who are likely to vote for its passing! Talk with your attorney on their recommendation on how to handle the potential change within your organization. Many local law firms are providing seminars specifically addressing the issue and how to prepare for the change. Don’t wait; you need to talk with your attorney sooner than later on their recommendation on how to handle the potential change within your organization to avoid unhealthy impact. Patti Dunham, MBA, MA, SPHR Senior Human Resources Consultant with Strategic Human Resources, Inc.(www.strategicHRinc.com). If you have any questions or would like to share your comments or success stories, you can contact Patti at Patti@strategicHRinc.com. A special thanks goes out to Melissa Weigand! WORKPLACE WELLNESS: Is the ‘Carrot and the Stick’ Approach the Key to Success? Rising healthcare costs, an emphasis on productivity, and a desire for healthier workforces have made “employee wellness” one of the hottest topics in the workplace. If you’re a Human Resources professional or a part of your company’s Benefits Department, chances are the task of rolling out a successful wellness program has been placed on your shoulders and it can be overwhelming. How do you create an environment for meaningful, lasting, change? Does the ‘Carrot and the Stick’ approach (expectations and incentives) work? After nearly 20 years in the wellness industry, my answer to you would be a qualified “yes.” There is internal homework that every organization must do first in order for this approach to work. I got into the wellness industry in 1993 as a sales representative for a local company and then started my own corporate wellness company, HealthWorks, in 1999. After having studied Dietetics at The University of Cincinnati and teaching fitness classes since 1988, I quickly determined I wanted to be on the preventative side of wellness. Even in 1993, we understood the connection between healthy lifestyle choices and preventing and/or controlling certain disease states, but there wasn’t enough research yet to push many companies toward implementing strategic wellness programs. Wellness was a tough sell. There was no quick fix and a lot of trial and error before we started to really understand what works and the importance of developing a 3-5 year strategy for implementation. There has been a tremendous amount of research supporting the benefits of a healthy work environment for both the employee and the organization. The biggest mistake employers can make is trying to get there too fast. The “Ready, Fire, Aim” approach, where employers throw a number of wellness initiatives at the wall hoping something will stick often backfires. Employees feel threatened and unsure about how these programs will impact them or their jobs, and employers are frustrated because they don’t see results at all or fast enough. Changing an organization’s ingrained values, priorities and work structures is much more difficult than simply offering fitness challenge or encouraging a healthy lifestyle. The goal for employers needs to be an ongoing program that is sustainable over time. It’s important to provide an environment where employees feel a strong level of trust and consistency in what the organization is trying to achieve and that everyone is in it together. Do the employees feel valued and trust that the employer really cares about their health? Does the wellness program have upper management support? How can the program be rolled out so employees to feel they are part of the solution as opposed to strictly the problem? We ask our clients to take a good, hard look at these questions and to try to answer them honestly. No two organizations are alike and our clients are everything from legal offices, school districts, and manufacturing plants, to colleges and universities. How they come at wellness is going to be different. But one thing is for certain – those that generate the best results have shifted their mindsets to view the money being spent on wellness initiatives as an investment rather than a cost. Everything will flow from that perspective – how you brand your initiative, how you communicate the programming supports and how you design your incentive structures. Your employees will feel and believe the programs are put in place to benefit them. They will be more receptive and they will engage. Just ask anyone in the wellness industry – the key to achieving those desired outcomes is putting in place the conditions for high levels of engagement and trust. “If you don’t engage the hearts, you won’t engage the feet” (Wellness Councils of America). Rewarding healthy behaviors (incentives) and education, which gives individuals the tools to be more personally accountable for their own health, can absolutely work. A recent study released by Towers Watson, called, “Pathway to Health and Productivity,” suggests that motivating action requires an understanding of how individuals respond to different types of incentives. The figure below from Towers Watson shows the use of wellness incentives are still being used but with tougher requirements. Intrinsic incentives create interest, desire or readiness to make changes, and the reward for change is therefore internal rather than external. Extrinsic incentives create a motivation to act in order to receive an external reward (such as money, gifts, etc.). Relatively simple change can occur through extrinsic rewards, which were fairly common in early generations of incentive design. However, employers today are seeking a more complicated change and actual adoption of healthy behaviors that are sustainable over time. There are three key steps that serve as the basic building blocks of healthy organizations. Careful examination of the risk factors, or the underlying job characteristics and organizational conditions that enhance or impair health. Zero in on desired outcomes, in terms of employee health, organizational results, and broader societal impacts. Identify what actions are required to address these underlying factors and achieve the desired outcomes. Whether your organization is just beginning to implement wellness efforts, has been offering some level of programming, or has been actively engaged in a comprehensive wellness strategy for a number of years, constant evaluation of goals and desired outcome is imperative. Take the necessary time to build your foundation at every level of the organization and make sure to keep your programming interactive and on a human level. Building from that human perspective, with a watchful eye on data and desired outcomes, will establish integrity and trust and ultimately ensure that your programming engagement levels start to self propel, rather than requiring bigger carrots and larger sticks. HealthWorks, a full-service corporate wellness company, specializes in a wide range of on-site programs. A leader in worksite wellness, HealthWorks identifies employee health risk factors through comprehensive and confidential health screens and health risk assessment. This baseline information helps employers identify how specific health risks impact Productivity, Presenteeism, and Absenteeism, all things that drive a company’s success. HealthWorks has an extensive menu of services including flu shots, health coaching, activity tracking, in-depth corporate reporting and more. For more information, contact Denise directly, at denise@cincyhealthworks.com, or check out the company website at www.cincyhealthworks.com. By Gravett & Associates and Strategic Human Resources, Inc.
Executive pay continues to make the headlines, which seems to always turn a head. The Executive Vice President of Human Resources and Diversity at Macy’s filed paperwork to sell 46,000 shares of Macy’s stock, a market value of $1,399,320 as of July 8, 2011. The CEO of Kendle International, Inc. will be receiving a $2.1 million “golden parachute” following the acquisition by INC., only having just taken the role in the last few months. The highest paid CEO in 2010 was Philippe Dauman of Viacom, owners of MTV, Nickelodeon, and Paramount Pictures. His pay was $84.5M, just two and a half times higher than 2009. Are their salaries justified? Some will say yes, but others will complain given the compensation of others within the organization, community, and beyond. Nonetheless, attracting executives can be extremely challenging when the roles are so critical to the success or failure of an organization. Executive compensation has been examined very carefully in light of the ethical scandals. The Sarbanes-Oxley Act of 2002 has tightened compensation and benefits rules for CEO’s and other executives, so companies are exploring ways to attract “the best and the brightest” and still protect shareholder interests and maintain a credible public image. When it comes to executive compensation, we’re finding that companies are focusing less on benchmarking to discover what the compensation level is for other companies’ executives and more on aligning compensation decisions with how well CEO’s protect shareholder interests over the long term and how well they achieve strategic objectives. Boards are discovering that simply following compensation practices of industry leaders only promotes unnecessary escalation of CEO salaries, with no discernible advantage to the company other than bragging rights about having the highest paid CEO. Shareholders in several companies have actively campaigned to put a cap on CEO salaries and bonuses. An exception to this practice of curbing salaries simply based on benchmarking is for CEO’s who are specifically brought in to turn around a failing company or division. The focus in these cases is still on being a compensation leader. Some companies are leaning towards stock options as bonuses so that executives “share the pain” with other investors when the company is not profitable. A caveat for companies who are considering this approach is whether this might encourage executives to adopt risky strategies that will pay off short-term, at the expense of longer term sustained progress. Many companies are even starting to require executives to hold stock until they leave the company or retire. An increasing number of companies are tying executive bonuses to measures of both profitability AND growth. More companies are now evaluating executives on performance and providing additional compensation on the basis of that performance (resulting in both long term and short term success). We recommend a written agreement be established annually about the performance-pay relationship to clarify the metrics that will be used to determine compensation. This will provide a method to track compensation programs over time and assess the correlation to achievement of strategic objectives. Finding the right total compensation package for your executives is a challenge. There is nothing more disruptive to an organization than the turnover of an executive’s role. Don’t let the total compensation be the culprit for a key loss, but, balance this with knowing that most executive compensation salaries may eventually be public information. 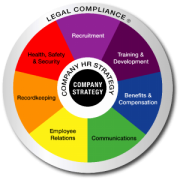 If you have any questions or would like to share your comments with Gravett & Associates (www.Gravett.com) or Strategic Human Resources, Inc. (www.strategicHRinc.com), you can contact Strategic Human Resources, Inc. at info@strategicHRinc.com or Gravett & Associates at Linda@Gravett.com. We see the headlines and read the stories day after day. Health care costs are rising, claims are increasing, and the overall health of our nation decreasing. So what are we doing about it? Many companies have taken the initiative to actively manage their health care programs, even those who may not have done so in the past. Organizations are adding a bit of consumerism to their plans, implementing wellness initiatives, and creating cost-shifting alternatives to the plan design. But is it enough? Are we using data to analyze our groups and make appropriate plan and program decisions? Are we shying away from the sea of data monsters because we don’t know what we are diving into and what the data means? As we do with other human resources activities we need to analyze not just the cost of our benefit programs but the source of the costs and use the data to tame the monster and improve the health and welfare of not only our programs but of our group. For anyone who has tried to dive into this sea, I agree, health care claim data is a complicated animal. For those of you fortunate enough to have access to your claim data, you know that the monthly barrage of data is seemingly endless. Sorting through all of the data and making sense of it is a daunting task. However, claim data is an excellent tool to use to refine your programs and work to improve the overall health of your organization. Effective analysis of appropriate data will help you and your organization implement programs for overall organizational improvement. In order to have a complete analysis, there are a few things to keep in mind. Most claim data is provided as a result of ICD-9, CPT-4, NCD, and HCPCS codes. Okay, I just said that to scare you, let’s see if we can make sense of what these types of codes mean. A provider will code a visit as “hypertension” or “sinusitis”, it is reported to the insurance company and out comes our data. Providers typically use these “codes” to determine what the illness, injury, or visit was for. You would then need to work with your third party administrator (TPA) or data provider to clarify where your data is coming from and how it is reported. The TPA can also help to refine the types of reports you are getting and review the information. Work with them and allow them to become your interpreter. Remember, more data may not necessarily be better data but do pick and chose those that will fairly represent the claims and give you a comprehensive picture. Again, your TPA may help to narrow this information down to what you need for a complete picture rather than allowing the data to manifest into one of those sea monsters. Data is just that, data. Analyze each piece of the data and then look at the entire picture. There are a lot of factors that impact what you are seeing so try and break it down into pieces and then review it in it’s entirety. Identify the trends but be careful not to make assumptions. An increase in OBGYN visits does not necessarily mean someone is pregnant. Identify and watch trends. Secondly, look around and observe data in its totality – include a review of workers’ compensation claims, absence rates, and short and long term disability claims to get a true picture of what is happening in your organization. Again, data received from ICD-9 codes are great but use that data in conjunction with your prescription data to make sure you have the whole picture. If you see a high percentage of hypertension as a diagnosis, are you also seeing a lot of prescriptions treating the same diagnosis? Are you seeing an increase in the number of back strains? Did that “jump” occur two months after the start up of the new assembly line? Could it be an ergonomic issue? Look at the numbers and then look beyond. Review your data by month, quarter, and year to look for trends. Have your claims increased or decreased over the same time period in the previous month, quarter, year, or years? Again analysis is crucial. Consider all of the logical explanations for a jump in the number of office visits. Look at the time frame in which you are analyzing and make sure there aren’t obvious (or not so obvious) explanations for jumps in trends due to the season. Did you just get out of flu season? Are you in an organization with a lot of families who just completed back to school physicals? Using time frames will allow you to make better interpretations of the data you are receiving. It is very important to benchmark your data to determine where you are as compared with other companies. Although you can compare your data with your data in previous time frames, it is also important to benchmark your data to determine where you are as compared with other companies. What are your trends and are they similar to the trends nationally or regionally? How about with similar-type organizations? National and Regional data will allow you to compare your data with that of organizations (typically of similar size) nationally or regionally. Mercer Human Resource Consulting offers a National Survey of Employer Sponsored Health Plans that will allow you the opportunity to benchmark data. Other organizations such as Kaiser Family Foundation (www.kff.org) and the Milliman Medical Index offer sources of data to benchmark from. Industry data will allow you to make good comparisons with like organizations but is sometimes difficult to capture. Go to your national organization and see if data is captured not only for compensation and benefit costs but claim data. Most importantly we need to turn the data that we receive and have properly analyzed and turn it into action. Program implementation should be documented and tracked so you are able to quantify successes in terms of an ROI for the program. Examples of such programs could include some of the following. Provide education about those claims you are seeing most. For example, is your number one diagnosis hypertension? Use payroll stuffers and articles and letters sent home to provide information on preventative care and personal health management of the disease. Get the family involved. Many companies have implemented wellness programs (some including financial incentives) to their employees but we should begin to include employee’s families as well. For example, if you are supporting a wellness initiative such as weight management or smoking cessation, it may help to build a supportive environment at home by including families in the initiative. Provide information about prescription drug choices. We have already used the tactic of making “non-preferred” drugs more expensive to consumers but go beyond that. Analyze your prescription data and if you see data telling you most employees are using preferred drugs rather than generics; educate. Make sure employees and their families are provided good information about drug tiers, costs, and equitability in prescription choices to allow them to make an informed decision. Face it, human resources professionals get confused about “tier one”, “tier two”, and “tier three” prescriptions…imagine how our employees feel. Communicate and educate. Actively work with your provider to ensure proper implementation and use of disease or care management programs. Work with your provider to ensure early detection of high risk / manageable illnesses and “pay the extra dollar” for disease management or case workers. According to a recent CIGNA study (2004, Health Care Report) active programs such as these can result in a potential savings of 20% for the entire cost of the illness. These programs allow us to show measurable ROI on the programs and continue implementation. Use rewards for health management. Reward employees and their families for completing health risk assessments. Reward for participation in wellness activities. Reward for self-care for minor illnesses and for lifestyle and behavior changes. Remember, rewards don’t have to be costly. Use creative rewards for those involved in managing their health. Finally with data, remember that no system is perfect. Use the information you are receiving, and look at the “big picture”. Data analysis will allow us to make more informed decisions in our future plan designs and wellness programs in an attempt to reduce our overall health care costs. Remember, monsters always appear larger when we are in the dark. We can all swim easily in this sea of data as long as we work with our TPAs, providers, and/or brokers to understand what we are reading and properly analyze and implement programs to target our own monsters. Patti Dunham is a Sr. Human Resources Consultant with Strategic Human Resources, Inc. (www.strategicHRinc.com). If you have any questions feel free to contact her at Patti@strategicHRinc.com. Spring into Wellness – Is your Wellness Program in Shape? The numbers are astounding. The US Department of Health and Human Services estimates that up to 75% of all health care dollars are spent on chronic conditions such as diabetes, obesity, and cardiovascular disease – most of which are preventable or at least manageable. As human resource professionals, it is obvious that we have taken this information and are making attempts through wellness initiatives to improve these distributing statistics. Today, wellness and preventative care programs continue to grow in popularity to help contain the costs associated with manageable illnesses. A study by Hewitt Associates in 2005 reported that the number of companies using wellness and disease management programs increased from 75% in 2004 to 83% in 2005. Over 80% of us have recognized the value of wellness activities and have incorporated them into our organizations, but are they working? Spring is a time to review, renew, and revive as we ‘get into shape’ for what is to come. Our wellness initiatives typically encourage employees to ‘shape up’ but who is ensuring that our wellness programs are in shape? How are they performing? Are they able to withstand the upcoming heat? As we dream of afternoons at the pool this summer, let’s review of our own wellness programs by reviewing the essential elements and revive them for Spring. Senior or top level support. Renew your top level support. Create a communication piece or an ‘event’ where senior level staff takes the lead. Such an event will help to (once again) build enthusiasm in the program from the top down communicating the importance and commitment throughout the organization. Wellness “advocate” and a committee or team. Remember, you can’t do it alone! Are there members of your team who are disengaged? Re-assess their interest and either revive or replace. Employee interest survey. You probably did a survey when you first began your wellness initiatives, but it is also important to assess where you have been and where you are going. Ask if the programs have been effective and what additional programs they would like to see. If a survey appears daunting, create a quick “checklist” of programs that are doable for your organization and ask employees to rate their interest. Remember the old adage, 20% of your employees are going to consume 80% of your healthcare costs? Don’t let that 20% not be actively involved in wellness. Find out what it is that will get them involved by asking. Are they still not interested? Consider linking health promotion to healthcare costs. Sometimes, money may be the motivator. Goals and objectives. Did you create realistic and measurable goals for your wellness programs? Have you met some of those goals? Communicate your successes and potentially change those goals or objectives that may not be attainable due to changing external circumstances. One word of caution….don’t get discouraged. Keep in mind that on average, it takes two to three years to see measurable positive impacts of wellness programs (Hewitt Associates). Review your goals and be sure that they still remain realistic and/or update them and regularly communicate them. Variety of program offerings. Breathe new life into your wellness initiatives by offering news types of programs and new communication tools. Programs can include assessment tools (computerized risk assessment, health fairs), education and communication programs (newsletters, paycheck stuffers), self help programs (individual programs to encourage techniques to modify behaviors), or lifestyle change programs (group programs in a supportive environment). Are you able to offer a variety of those programs to meet the needs of your workforce? Have you tried a variety of communication tools to get the information about the programs to employees? Sometimes just a new presentation of an old idea is enough to generate renewed interest. Wellness budget. Are you lucky enough to not have to work under the constraints of a wellness budget? Probably not. As such, we are challenged with offering a variety of programs (above) while staying within budget. Doable? Of course! We may not be able to do everything we would like but there are wellness programs available for EVERY budget. Many free resources are available so take advantage of those when you can. Incentives for participation. Look at the incentives you have tied to the programs. Are they encouraging the appropriate behavior? According to SHRM, Nebraska-based Lincoln Plating includes wellness objectives as part of overall employee performance and merit pay increases. How far is your organization willing to go to gain commitment and incent participation? Small or large, incentives can encourage behavior. From money to trinkets to reductions in health premiums, there are a variety of incentives at your disposal. However, whatever is used, remember to ensure that the rewards have value to the employee while not creating any legal violation. 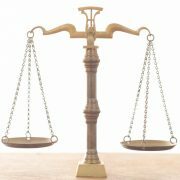 The US Department of Labor, the Internal Revenue Service, and the US Department of Health and Human Services jointly issued proposed regulations to implement and clarify the term “bona fide wellness program” to avoid discrimination and violation issues with ERISA, HIPAA, and the Americans with Disabilities Act. Although the regulations are not finalized, you should continue to watch these proposed regulations in regard to wellness programs and the incentives tied to them to ensure legal compliance. Measuring Results. Are you measuring your results? In a 2005 International Society of Certified Employee Benefit Specialists wellness study, it was reported that only 13% of companies participating in wellness programs were able to identify the return on investment for the programs. Don’t forget this important piece to ensure continued funding for your wellness initiatives. Returns can be measured by such things as: improved attendance, lower healthcare costs, lower workers’ compensation costs, increased productivity, and reduced turnover. According to Dr. Ron Goetzel, the average ROI for wellness programs is $3.14. That is, for every $1.00 invested in wellness programs, employers see a return (on average) of $3.14. Showing the value of this investment (not expense) will be critical for continued funding. Remember, getting in shape doesn’t happen overnight, it is a journey. Effective wellness programs are evolutionary and require changes along the way. Review your wellness programs and update them regularly creating the opportunity for a benefit program that could potentially pay the organization back threefold! Patti Dunham is a Senior Human Resources Consultant with Strategic Human Resources, Inc. (www.strategicHRinc.com). If you have any questions or would like to share your success stories, you can contact Patti at Patti@strategicHRinc.com. With the role of human resources shifting from service and administration to strategic planning partner, we need to take on more accountability for how we impact the success of the business. The biggest impact we can make is on the “human” resources the organization employs to maintain the business. Therefore, we must assess the quality and cost of recruiting and retaining these resources. Health care costs are definitely still on the rise. Everywhere we turn it is in the news, so another article pointing out this fact would be futile. We should understand the events and how this all happened, but the reality is these increases have damaged our corporate fiscal objectives, and they are coming after us to get these costs in check. As professionals in human resources and benefit management we know that change is demanded, but what are we to change? As responsible human resources professionals, we have reviewed our employee plan contributions, we have changed plan designs, we have been diligent in promoting “good health” to our employees, what else can we do? First we all have to look at our past and expected future trends of healthcare. We did have a surprise in 2003. The increase did not reach the expected 15% trend predicted, but many could argue that our diligence in making plan design changes moderated this trend. Note: Results for 1987-1988 are based on cost for active and retired employees combined. The change in cost from 1988-2003 is based on cost for active employees only. Predictions for 2004 vary from 12% to 17% and we know that smaller employers are receiving bigger increases than the larger companies. Nationally, the cost for 2003 per employee for Health and Dental benefits was $6,215. Therefore if costs increase 12%, each of our employees will receive $746 of new income. Are you communicating that information to your employees in the form of benefit statements so they can see their increase in total compensation? Who pays for the increased costs? Employers. One choice employers have is to continue to pay these increasing costs. Employees are valuable and employees value their health insurance. We can all agree that medical science and advances in medicine have increased our expected lifespan and improved the quality of life. This improvement comes at a cost and we are willing to pay. All of this means, by offering an acceptable health and dental plan with substantial employer contributions you are creating a great retention tool especially given the labor market predictions. Employees. If your company does not have the financial resources or feel that employees should share in the cost of the medical advances, we need to know effective tools to reduce the premiums cost to the employer. In short, there are two primary methods to reducing costs: 1. Reduce the Cost per Unit, or 2. Reduce the Number of Units (fewer doctor visits and medications). 1) Reducing the Cost per Unit. If you have been an astute Benefits Manager, then you have already reviewed the PPO and HMO networks that offer discounts in services. If you are already with the ‘best’ network for discounts and have employees using the doctors and hospitals in these networks, your ability of “Reducing the Cost per Unit” is now limited only to shifting the premium cost. Therefore, your options are either increase employee payroll deductions and reducing employer cost or changing the plan design to reduce the premium. Greater focus today seems to be on Defined Contribution Plans. Thinking pensions? No, Defined Contribution Plans (sometimes called self-direct or consumer driven health care plans) are a new plan design that offers an element of consumerism. Employers choose to give their employees a fixed amount of dollars each year to spend on health or dental care services along with (typically) a high deductible insurance product that protects catastrophic health care concerns. Unused dollars can carry forward to the next year building a savings account that can potentially bridge the gap of the high deductible plan. This incentive to not spend unnecessary dollars ideally should reduce the number of units used (fewer doctor visits and medications). A byproduct of this design is to focus on health. If an employee can get healthy and begin lifestyle changes that promote future improvements in health, the number of units used reduces more. However, there is some potential backlash of this type of product. One potential could be care avoidance. Some individuals may focus too much on not spending their limited dollars and not get the care or medications they desperately need. Therefore, effective plans should include preventive care riders and/or prescription drug riders. Other backlash may be employer “blame” for a lack of paternalism. Since this type of plan gives employees the power to make decisions, a poor decision may be blamed on the employer. Also, the potential of out of pocket expenses for employees with a catastrophic health event are significant. Although employees like seeing the large dollars up front, if a catastrophic event does occur, those are the employees who end up paying the large out of pocket dollars. As a result, the employer will lose the perception of offering adequate coverage for employees. As Human Resources professionals and Benefit Managers, our jobs have never been so difficult. Working closely with our financial counterparts to keep health and dental costs under control is essential in today’s competitive markets. The good news is we have more health and dental care options than before, but quality research is necessary to avoid buying into the hype on the next fly-by-night, flavor of the month. Be sure to look at all of the available options, talk with your peers, and ensure proper communication and understanding of plans before making financial decisions that may effect the health of your employees and organization. Ray Roshek is the VP of Group Benefits for Hylant Group. Patti Dunham is a Sr. Human Resources Consultant with Strategic Human Resources, Inc. (www.strategicHRinc.com). If you have any questions feel free to contact Ray at Raymond.Roshek@Hylant.com or Patti at Patti@strategicHRinc.com. What costs the average consumer $5.52 per hour? The answer is family health insurance coverage. The Kaiser Family Foundation and Health Research & Educational Trust recently published the results of their 2006 Annual National Survey. Based upon the results of the study, the total average annual premiums for employer-sponsored coverage are $4,242 for single coverage and $11,480 for family coverage. At an average 40 hour work week, a family will pay $5.52 per hour. This is an alarming number considering that Ohio’s minimum wage was $6.85 per hour in 2006. Depending upon the financial contributions of the employer, health insurance cost for a family can nearly be as much as what a minimum wage earner can make! There are many explanations as to why our health insurance premiums have increased so dramatically (over 86% since 2000) and we have heard them all. Our President and many consultants are encouraging consumerism as the solution and why not? The traditional methods of controlling healthcare cost have been severely affected by our country’s desire to limit the insurance companies’ ability to manage. If the insurance companies cannot manage, then the consumer must manage themselves. This can be an extremely scary proposition since the average consumer has little to no education on healthcare choices and although we continue to try to educate our employees, many have not yet been fully successful. State Children’s Health Insurance Program Reauthorization – SCHIP was created to extend coverage to low-income families to cover children not eligible for Medicaid. The reauthorization is seeking to expand the coverage to parents or other adults. Great idea, except, this is a program that has already crowded out eligibility for worthy children since the program has a finite access to funds. A possible solution to the cost constraints would be to also change the funding of the program from a block grant to a new federal entitlement plan, however, it has not yet been determined. Health Information Technology and Other Means of Reducing Cost and Improving Quality – IT initiatives that will help reduce health care administration and wasteful duplication. It is estimated that IT changes could reduce our healthcare cost as much as 20% each year. Improvements in quality will result through a delivery of better information for doctors, tracking public health problems, and advancing clinical research. Medicare and Prescription Drug Cost – Some members of Congress would like for government to directly negotiate the cost of prescription drug prices. Insurers of the current Medicare Part D products boast substantially lower cost than was initially expected (estimated at 30% under budget). Other considerations include the possible re-importation of drugs from Canada, however, it is estimated that such a re-importation would exhaust supplies within 30 days. Long Term Care – A needed change for this product has been to allow pre-taxable contributions of premium. The product would become more affordable through pre-taxable contributions and give incentives to the employer in offering this valuable product. LTCI premiums are 20%-30% lower when offered in the Group marketplace. Patients’ Bill of Rights – Congress indicates that they will once again be re-introduce the Patients’ Bill of Rights. This piece of legislation would provide a means to individuals to sue their health plan OR their employer as a means to resolve disputes in care. A bill, if passed, which would further increase health insurance premiums and costs to the buyer of these products. If all of that is not enough for you to absorb, we must not forget many of the private groups (federal and state) who are gearing-up to drive more change in the health care arena. A special interest group lead by the AFL-CIO and various labor unions will be campaigning for a Single-Payer system. SPAN Ohio (Single-Payer Action Network Ohio) is a statewide coalition seeking fundamental health care reform in our state and country so that every resident is guaranteed full and comprehensive coverage. They advocate a public fund that would pay all health care bills without co-payments or deductibles. Sounds good – but who will be putting the money into the public fund? SPAN Ohio wants to place their initiative on the ballot and has made a lot of progress since the idea was initially introduced. Again, education is a factor here, many individuals are not adequately informed to make a decision on a single-payer system. What is it? What does that mean? What would be the impact of such a system on individuals and employers? Many concerns that have been raised to such a system compare it to Medicare. Seniors covered by Medicare have huge gaps in coverage and look to the private sector to improve their coverage by purchasing Medicare Supplements, Medicare Advantage Plans, and Medicare Part D coverage. Some say the same would occur with a single payer system and we would continue to need private plans to be fully insured. Also, we would be remiss if we did not mention consumer driven healthcare plans. Insurance companies are quickly embracing the HDHP (High Deductible Health Plans) and employers of offering HRA (Healthcare Reimbursement Account) and HSA (Healthcare Savings Account) funding as a way to control costs. With insurance companies embracing the plans and pricing them attractively, employers have no choice but to also move to what appears to be more cost effective plans. As we can see, there are many changes in the horizon. How quickly they occur and what they will look like are uncertain. However, one thing is certain…there will be change. Change may not come as quickly as we all would like but it continues to be on the horizon as we can see from these various legislative and special interest program introductions. It will be important for HR professionals to work closely with their executive staff, insurance brokers and insurance companies to create long-term strategies that meet your organizational objectives and are financially feasible. HR professionals must continue to be proactive, stay current on proposed and enacted legislation, and must drive change to educate employees and help them understand how to get the most from their benefits. A very difficult responsibility for all of us. Ray Roshek is the V.P. Group Benefits for Hylant Group leading Cincinnati’s group professionals supporting brokerage and consulting services to Ohio businesses. Patti Dunham is a Sr. Human Resources Consultant with Strategic Human Resources, Inc. You may contact Ray at Raymond.Roshek@Hylant.com or Patti at Patti@StrategicHRInc.com. The Employee Retirement Income Security Act (ERISA), legislation that sets uniform standards to assure that employee benefit plans are established and maintained in a fair and financially sound matter, turned 30 in September of this year. And, unlike many other pieces of legislation, the law that was hurriedly pushed through congress to avoid getting backlogged behind the Nixon impeachment trial has fundamentally remained unchanged in its 30 years. ERISA, most definitely, is a complex series of rules that have become the cornerstone of employee benefit plans today. Although in place for 30 years, you will have a hard time finding an HR professional who doesn’t shiver at the mere mention of the word. With typical legal language and it’s affiliation with the Internal Revenue Code, it’s easy to quickly become intimidated when ensuring we are in compliance. The following outlines some of the general requirements surrounding ERISA and what you should be aware of when ensuring compliance. ERISA, in general, applies to a wide variety of employee benefit plans, typically welfare plans. Examples of the types of plans that fall under the legislation include: medical, disability, death, pension, profit-sharing, stock and bonus plans. To determine if a plan is covered, it is necessary to review the guidelines on plan coverage. These guidelines are tricky but the general requirements are that (1) it is a plan, fund, or program that is (2) established or maintained by an (3) employer or employee organization for the (4) purpose of providing specified benefits to participants or their beneficiaries. Remember, unfunded benefit or payroll practices such as vacation, holidays, PTO, etc. are not included. Group-type voluntary insurance programs in which the employer makes no contributions are also excluded. Responsibilities under ERISA vary depending on the type of the plan involved. Pension plans are subject to all of the rules, while welfare benefit plans must only meet the rules on reporting and disclosure, fiduciary responsibility, prohibited transaction and benefit claims procedures. Reporting. Administrators of covered plans must file summary plan descriptions (SPDs), Summaries of Material Modifications (SMMs), and annual reports, including Form 5500 for each plan. Disclosure. Certain information must be communicated to plan participants so that they can be informed about their rights under the plan. These include SPDs, updated SPDs, SMMs, Summary annual reports (SARs), and notice of claim denials if a claim has been denied. Communications must be sent to employees in a method likely to result in full distribution, not merely a “posting”. It also must be easily understood by the average participant. ERISA also requires notification of continuation of benefits under COBRA, an explanation of ESOPs and other stock benefits, and the posting of all required state employment laws. Benefit Claim Denials. An administrator who denies a participant’s claim for benefits has legal obligations and must provide information about the denial as well as the appeal process. Anyone who has medical coverage who has had a claim denied has probably seen the disclosure on the explanation of benefits that covers this requirement. Well, the easy answer is “it’s the law”. If an organization is convicted of violating ERISA’s reporting and disclosure requirements, the company can face up to a fine of $100,000 and/or 10 years in prison. Not such a great thing. The more significant answer is the benefit that it provides to your employees and participants in these plans. Although there is always room for improvement, ERISA requirements have forced us to greatly improve our benefit communications. Employees feel more informed and clear about the benefit plans in which they are participating. Patti Dunham is a Sr. Human Resources Consultant with Strategic Human Resources, Inc. (www.strategicHRinc.com) and can be reached at Patti@strategicHRinc.com. Do All You Can to Protect Yourself Against Workers’ Comp Claims! According to Margaret Spence of the Workers’ Comp Gazette, employers often hire based on an unrealistic idea that all they need is a warm body in a position because “anyone” can be trained to do the job. This is the first mistake on the road to a Workers’ Compensation claim. It is essential that each job fit the worker and that each worker fit his or her job. Recent data from the Bureau of Labor Statistics shows that 13% of all workplace injuries occur within 90 days of hire – 23% of those happen within the first 4 hours on the job! Ensure the job description includes not only the essential functions of the job, but also the non-essential functions, physical requirements and qualifications for the position. This is a hallmark of employers with effective injury management programs. Ask the candidate how they would perform specific job tasks. Pre-employment skills testing can include a “fit-for-duty” test (NOT a medical exam) involving the duties of the job, if the employer can show a compelling need to do so. For example, you may require the candidate to climb a ladder, lift a box, etc. Now is the time to observe for the ability to do these tasks as well as identify improper body mechanics. If your company requires “fit-for-duty exams” to avoid hiring a Workers’ Comp claim, they should be structured so that they comply with privacy laws and the American with Disabilities Act (ADA). Employers are also limited in the scope of allowable inquiries before making a conditional job offer; for example, employers must not ask about illness or disability, prescribed drugs, past medical treatment (such as for addiction or alcoholism), or prior WORKERS’ COMP claims. After a conditional job offer, an employer can ask about an employee’s Workers’ Comp history, sick leave usage, medical challenges, etc. as well as require a medical examination – provided that all candidates who receive a conditional job offer in the same category are required to take the same examination and/or respond to the same inquiries. Such inquiries must be job related and consistent with business necessity. If the employer chooses not to hire someone based on their medical history, the decision must be directly related to their inability to perform the job up to a certain standard or because in doing so, they may harm themselves or others. Under the ADA, employers with 15 or more employees are required to consider job accommodations. It is recommended that medical inquiries be done by a physician and that results are considered confidential medical records and be treated as such. Training, training, training – according to Spence, “Employees should be provided with appropriate safety training and the safety rules that apply to their job and their work areas. Employers, who have successful injury prevention programs, create a training matrix that outlines the minimum safety training required for all positions.” The importance of not only training to perform the tasks of the job, but training in all safety aspects of the job cannot be overestimated. Additionally, training doesn’t end after the employee learns the duties and safety precautions as a new employee. Any time job duties, equipment, or safety rules change or are updated, employees must be trained on the changes. Refresher training on safety rules should be conducted regularly as well. Spence notes that employers must recognize that bad hiring decisions and improper training programs can increase the likelihood that an employee will be injured. Spend the money to train your employees correctly, from the beginning. If you evaluate the overall cost of one Workers’ Compensation claim, including: the loss of manpower, the administrative cost to manage an injured employee, the Workers’ Compensation premium cost and the overtime to cover jobs that would have been done by the injured worker—you will see the cost benefits of integrating an effective pre-employment evaluation and safety training programs into your workplace. Laura Littlecott, PHR is an HR Consultant with of Strategic Human Resources, Inc. (www.strategicHRinc.com) and can be reached at LauraL@strategicHRinc.com. Do you ever feel stressed? Nahhhh…none of us do, right? We don’t get stress headaches or have problems sleeping or get overly tired. We don’t even get those tense muscle pains in the back of our neck, shoulders, or back. And, we never ever get depressed or edgy, right? But do you realize that these are all symptoms of stress and if you don’t try to manage your stress it could lead to even worse problems such as high blood pressure, ulcers, heart attack, or damaged relationships? What’s the best solution for stress? Exercise! We’ll be the first to agree that exercise isn’t easy, but exercise also doesn’t need to be long and painful. You’ll see results even if you can only take a few minutes to exercise. Once you get started you won’t want to stop and you’ll even be more productive with your every-day life including your ability to concentrate, energy level, and creativity. But before you begin your exercise, you need to learn how to breathe right. We all were born with the appropriate breathing technique but quickly lose it due to the day to day stress. Watch a baby – they breathe long deep breaths in through the nose and out the nose. Studies show that slowing down your breathing calms the nervous system, which in turn lowers blood pressure and heart rate, reduces stress hormone levels and increases energy levels. Therefore, the deep breathing we did when we were born is a highly effective tool against asthma, poor digestion, weight gain, sleeplessness, high blood pressure, heart disease, AND STRESS. Sit in a chair with both feet on the floor with your shoulders back and your chin up. Place your hands on your diaphragm so that you can feel the movement of your breathing. Breathe in deeply through your nose filling your abdomen and chest with air from bottom to top like you are filling a balloon. Exhale all the air out of your nose from top to bottom. Repeat 20 times, even just 5 – 10 will help. This is just one breathing technique of many. If this one doesn’t work for you, research other techniques until you find one that is comfortable and refreshing for you. The key is controlling your breathing while you exercise will help you build endurance and continue to benefit from oxygenating your body. Now that you know how to breathe, let’s talk about exercise. We’ve learned some excellent techniques and concepts about exercise and stress reduction from the martial arts. Robin studies Yoga and Pilates and has two children and a husband who are 1st Degree Black-Belts in the Maududo form of Karate. Linda studies Tai Chi and is a 5th Degree Black-Belt in TaeKwondo. We’ve learned that the first place to start for successful exercise is with deep breathing exercises, and then introduce some low-impact exercises that can actually be done while sitting at your desk and then work up to a full exercise routine to get your heart rate going. (Benefits: relaxes neck and shoulder muscles, improves circulation in hands and arms) Hold your left hand at face level with the palm facing upward. Swing your right arm back, following the motion with your eyes by turning your head to look over your shoulder. Sweep your arm forward and over your shoulder so that your right hand will pass over your left about 2 to 3 inches above it. Bring your right hand past your left hand. Turn your right hand palm up and wing your left arm behind you as your turn your head to follow the motion. Bring the left hand over the right without touching your hands together. Slide the left hand forward. Repetitions: Nine on each side, for a total of 18. (Benefits: tightens abdomen, improves circulation in hands and arms, relaxes shoulders) Extend your arms and reach for the ceiling. Take a deep breath expanding your diaphragm. Swing your right arm down across your chest to your left side. The left arm remains stretched towards the ceiling. As your right arm wraps around your waist on the left side, turn your head so you are looking to your right. Your body is twisted to the left but your head is turned in the opposite direction. Breathe out as you bend forward and tighten your abdomen. Swing your right arm up again and reverse the rotation so that your left arm is resting on your right hip. Turn your head to the left. Exhale as you bend over and twist. Repetitions: Nine times on each side. Stand straight with your hands at your sides balancing your weight evenly on both feet. Bend the left knee bringing the sole of the left foot high onto the inner right thigh. Keep both hips squared towards the front. Place your hands on your hips for balance. To advance, raise your hands up in front of you over your head. Focus on something that doesn’t move to help you keep balance. Repeat standing on the left foot. For more challenge, try closing your eyes. For more challenge, lift yourself up on your arms so your shoulders are directly over your wrists. Keeping your back flat on the floor, raise both your legs to a 90 degree angle and then lower back toward the floor to a challenging level without lifting your back off the floor. Keeping your back flat on the floor, raise your head and shoulders off the floor. Keeping arms extended, lift and lower them about two inches from the floor, breathing in on the lift and out on the lower. Andrew Williams: How Do You Compare? Remember, the main way to reduce physical stress is to release endorphins into the bloodstream which is done through exercise. Getting a 20-30 minute workout three to four days a week is critical to keeping the endorphins flowing and the heart pumping. According to the American Institute of Stress, Americans spend about $11.3 billion a year coping with stress-related illnesses and injuries. Stress has been linked to leading causes of death such as heart disease, cancer, and suicide. Up to 60% of employee absences are caused by psychological disorders. We encourage you to avoid being one of those statistics. Focus your breathing and figure out the best exercise plan for you…Get moving! Robin Throckmorton, MA, SPHR, a Senior Human Resources Management Consultant is President of Strategic Human Resources, Inc. (www.strategicHRinc.com). Dr. Linda Gravett, Ph.D, SPHR, is with Gravett & Associates (www.Gravett.com). If you have questions or comments about this article or think your office would benefit from our highly interactive session titled “Martial Arts Strategies for Managing Stress at the Office,” please email Linda at Linda@Gravett.com or Robin at Robin@strategicHRinc.com. To talk about the health care crisis and what we are doing about it is old news. We have seen the reports and see that although health care cost increases are declining, they are still double the cost of living index and are still unmanageable for today’s companies. The introduction of consumerism into our health care has been a common theme over the past five years but is it working? Is it too early to tell? With Health Reimbursement Arrangements (HRA) and Health Savings Accounts (HSA) relatively young in their career, it has been difficult to effectively analyze these programs and make any conclusions on their impact on the benefits arena. Limited history and still modest enrollment makes it difficult to obtain valuable data to make informed decisions for our plans and for our employees. However, this month, Aetna released the broadest study to date of consumer driven health care plans (CDHP). The study reviewed four years of data on 1.6 million Aetna members and offers a unique view of 134,000 HRA members, 18,000 HSA members, and 1.45 million “other plan” members in Aetna programs. A key finding from the Aetna study shows that full replacement plans have shown the most significant savings to companies, experiencing an average medical cost trend of 1% over 3 years. Employers who offered the consumer driven plan as one of multiple options experienced an average medical cost trend of 6.7% over the same 3 years. A significant savings when we see increases in premiums for all health care plans (Kaiser Family Foundation 2006 report) from 13.9% in 2003, to 9.2% in 2005, to 7.7% in 2006. One of the largest concerns for those considering consumer directed programs is that it will drive employees away from health care services, especially preventative services. The feeling being that if it is going to cost them their own money, they will forego services. However, the Aetna study reports that preventative care for members was maintained or improved as compared with other plan members. The study showed that first year HSA members received cervical cancer screenings at a 13.8% higher rate than PPO members, discounting the notion that individuals are not seeking preventative care. Supporting this finding, McKinsey & Company (June 2005 Consumer Directed Health Plan Report) found that individuals with HRAs were 30% more likely to get an annual check up. Consumers appear to agree, at least from these surveys, that if they catch a health care concern early, it will save them money in the long run – driving the type of behavior we would like to see in terms of prevention. Another concern for employers is the level of maintenance care for those with chronic conditions. Again, both studies show support that care is being maintained. The McKinsey study reported that HRA patients were 20% more likely to follow treatment regimens for chronic disease care; while the Aetna study reported a 6% higher usage of inhaled steroids among asthmatics (chronic care treatment) for HRA and HSA patients compared with a similar non-CDHP population. From these studies, our fears finally appear to be lessened in that care is not necessarily being avoided due to the increased ‘cost’ to participants in consumer directed health care plans. A 2005 Blue Cross Blue Shield Association health survey further supports the findings reporting that consumers with all types of health coverage were equally likely to defer care – 22% of HSA participants, 25% non-CDHP enrollees. These statistics show a similar percentage of individuals who try and ‘wait it out’; regardless of the type of coverage they enroll in. Finally, for a comprehensive review we must look at the level of consumerism being engaged in with these plans. One way to view this is in terms of drug utilization. The Aetna study shows that generic drug utilization for HRA members was 4.5% higher than PPO members. Pointing to, what would appear consumerism in drug choice as well with higher usage of generic brand alternatives. So, are our pleas to be more cost conscious working? Do our employees finally understand that it is in everyone’s best interest to review quality and price when making health care decisions? From these data sources, it appears so. CDHPs are providing lower cost plan alternatives with consumer responsibility without jeopardizing care. 20-30% lower than average premiums for HAS qualified plans in the overall market (Kaiser Family Foundation 2006 Health Survey) and better consumer decision in terms of preventative care, chronic care maintenance, and generic drug usage appear to be a good choice for employers with this first wave of data, however, it must be taken and observed over time and with a note of caution. We all know there is no “one” solution to the health care crisis. While consumer driven health care plans offer promise, we cannot rely solely on these plans. Employers need to engage employees and provide them with information, tools, and wellness programs with or without a consumer directed health care plan to make better and more informed decisions. One of the biggest challenges for employers is to get healthcare consumers to be true consumers and use these new ‘savings’ vehicles appropriately for health care spending. Consumer directed health care plans appear to be driving this level of consumerism to some degree. The McKinsey & Company report found that HRA and HSA enrollees appear more likely to make careful, value-conscious healthcare decisions. Consumers with HRAs were 50% more likely to ask about overall health care costs, and twice as likely to inquire about drug costs. However, after 20 years of PPO co-payments, it remains a challenge as employees truly do not have a grasp on the cost of health care services. In 2005, Great West Health Care sponsored a health care spending study which drove this point home. In this survey, it is reported that participants were able to guess the price of a roundtrip plane ticket within $37, the price of a new car within $300, and an average four day hospital stay within $8,000. Our lack of awareness with health care spending is astonishing and must be something that we need to continue to focus on with our employees, with or without a CDHP. A modest push to arm our employees with the tools to take control of their own health with wellness programs and initiatives snowballed into consumer driven or consumer directed health plans. Benefit managers and insurance companies continue to work to come up with the magical plan design and programs that will make it click with consumers and empower them with the tools to help reduce out of sight health care costs. However, with all of the tools it is important to note that we must still rely on data and information to help our employees and our companies make better health care decisions and to get the most of our health care dollar. Surveys are a great source of data and have provided much wanted information on the value and success of consumer directed health care plans, however, it is just the beginning. As we preach to our employees, information is valuable and more information is priceless. Use data such as this as only part of your information gathering. External surveys as well as internal surveys, and market literature will allow you to make more informed choices for your organization and arm yourself and your employees with the tools to make the best decision in health care. Patti Dunham is a Sr. Human Resources Consultant with Strategic Human Resources, Inc. (www.strategichrinc.com). If you have any questions or would like to share your experience with consumer driven healthcare plans, contact her at Patti@strategicHRinc.com. As health care reform dominates the news in much of the western hemisphere, multi-national corporations may find wisdom from wellness philosophy as a means of preventing illness, particularly for employees and their families in transition. The National Wellness Institute, founded in 1977, identifies six components of wellness: social, physical, intellectual, occupational, emotional and spiritual. Theoretically, if one or more of these components is out of balance, the imbalance manifests itself as stress, which can create or exacerbate physical illness. Awareness of and attention to the components of wellness may be key to preventing some health concerns, and for relocating families, can support a successful transition to a new location. Social Wellness refers to an individual’s interaction with his or her environment and community. Providing information about the new community and facilitating opportunities for transferees and their families to meet peers contributes to the wellness goal of living in harmony with others and the environment. Physical Wellness is concerned with becoming physically fit and providing nutritious food. Identifying healthy food sources, locating fitness facilities and dedicating family time for physical activity are all objectives to achieving wellness in this area. Intellectual Wellness includes engaging in creative, stimulating mental activity. Relocated employees immerse themselves in new work activities, but their accompanying partners may feel isolated, useless, and in need of meaningful activity, particularly after the logistics of the move are settled. Occupational Wellness refers to personal satisfaction and enrichment in one’s life through work. While the relocated employee is immediately engaged in his/her new job, many spouses have left their own careers behind, and may need support in exploring employment options or a meaningful pursuit. Emotional Wellness is the degree to which an individual feels positive and enthusiastic about his or her life. Encouraging employees and their families to examine how they feel about the changes that have occurred due to their move helps them to accept these changes and make forward-looking plans. Spiritual Wellness relates to an individual’s search for meaning and purpose. Living in a way that is consistent with closely-held values promotes growth in this area. Recognizing the components of wellness can support relocating families not only in achieving optimal health, but it can also contribute to successful transitions and enhance corporate relocation. Amy Reece Connelly, an Indiana-based career consultant, is a Global Services Team Leader for Ricklin-Echikson Associates (REA), an international HR consulting firm specializing in career and transition assistance for the accompanying spouse/partner of relocated employees. She is also a veteran of 15 moves accomplished as a child, a young adult, a newlywed and a (semi-single) parent and spouse of a deployed military officer. If you have any questions or comments about this article, you can contact Amy at reainternational@tds.net and or visit them online at REACareers.com/REACareers/.